Night Club Art Exhibitions Don’t Pay Artists | sondai living: Spirit. Art. Style. The combination is actually illogical. Night clubs are multi-purposed venues but, art seller is not one of them. While I appreciate the out of the box sentiment that promoters and night club owners have, this forcing of culture is not progressing artist’s careers. In fact, it may very well be pigeon-holing or exploiting the artist by using them as atmosphere or a gimmick making the establishment seem like the “it” place to be. It is a level of respect for the artist. Show them in the best possible light. 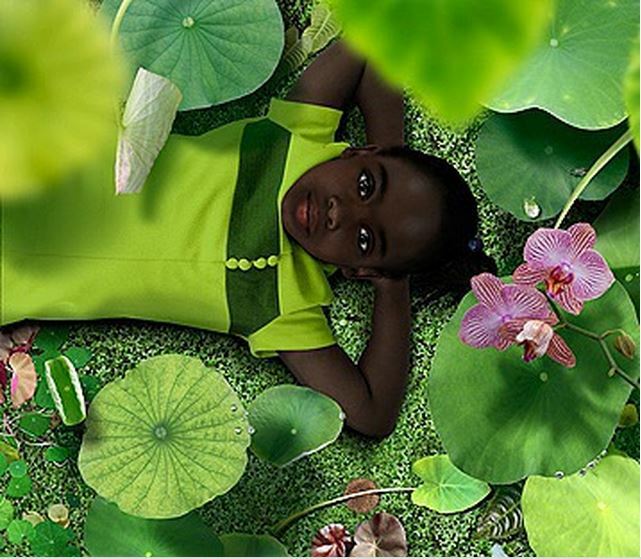 You wouldn’t put this Ruud van Empel Dawn #1 piece in a night club. There are strong drinks and uncontrolled patrons, the arts connoisseur is not there to squint at labels or at paintings for that matter, they are there to shake what the good lord gave them. At this point it has been done. Admittedly, I have seen it done well in some cases. I can not deny that the artist was truly thought about in these situations. I have also seen it done horribly with an artist live painting stuck up in a corner and disrespected by drunken night club goers. Do not be mistaken, I am talking full blown night club here, not gallery parties or buildings converted into gallery spaces. Even though, sometimes the party gets a little too “crunk” in this spaces as well. YES! Art most of the time equates to a jovial atmosphere. It is a celebration of talent, accomplishment and life on a wall, canvas, pallet, glass or anything else an artist can create upon. These night club exhibitions don’t really allow the work to be seen. Indeed, accolades are awesome, having people surrounding you and smiling, and instagramming pictures with “the artist”, that is cool too. But at the end of the day art for an artist is business. The business is the sale of art. They can’t live off of fun times at the night club. The point is, the artist must be mindful of their audience and how to reach them. Of course, millionaires are not relegated to galleries. This day an age they walk among us. However, for the artists, please think about perception and presentation. If your art fits in the night club atmosphere and the owner is willing to purchase your pieces to adorn their walls, by all means DO IT. Otherwise please stop with this gallery quality work being installed in spots with rum and coke stained floors and (potentially) art. This entry was posted in business, Random Thoughts and tagged art, instagram, millionaires, night clubs, patrons by kimberly c. gaines. Bookmark the permalink.